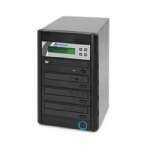 Enjoy the supreme performance of Microboards 8-Drive 16x DVD 1,000 Disc Duplicator for all your duplication needs. 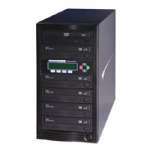 With its streamlined design, the high performing copier comes with 8 drives and has a maximum capacity of 1000 discs. 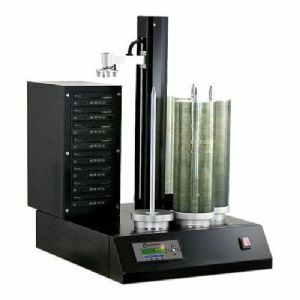 This professional autoloader is built with a DVD speed of 16x and burns up to 56 CDs or 40 DVDs per hour. 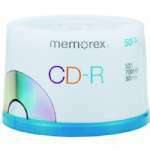 It comes with an internal hard drive of 160 GB hard for disc image storage and supports most of the popular CD/DVD formats. 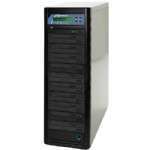 Its Multi-Master Recognition Technology allows multiple masters to be loaded at the same time to run multiple duplication jobs in succession for maximum efficiency. Equipped with an auto-counter technology the copier displays the total number of discs copied and the total number of desired output for each project. 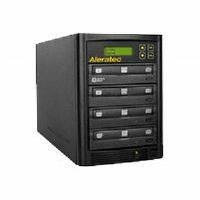 The duplicator is delineated with a complete standalone operation and does not need any PC connection. 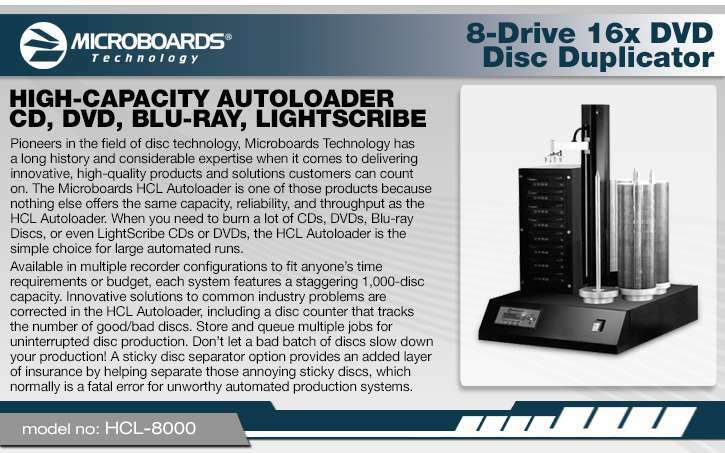 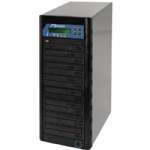 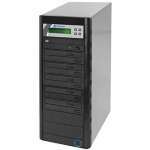 Order the Microboards 8-Drive 16x DVD 1,000 Disc Duplicator right away for dynamic duplication!